At the meeting at KTM we reviewed the concept of SOTIF (Safety of Intended Functionality) to have a joint understanding of this approach from a practical viewpoint. Members of the team (ISCN was safety reviewer and ASPICE assessor of the E-Bike, and design reviewer of drive by wire project as an input to the motor control; LORIT was safety expert for the electronic parts) were involved in the E-Bike, and KTM invited all partners to ride the E-Bike in the offroad park. 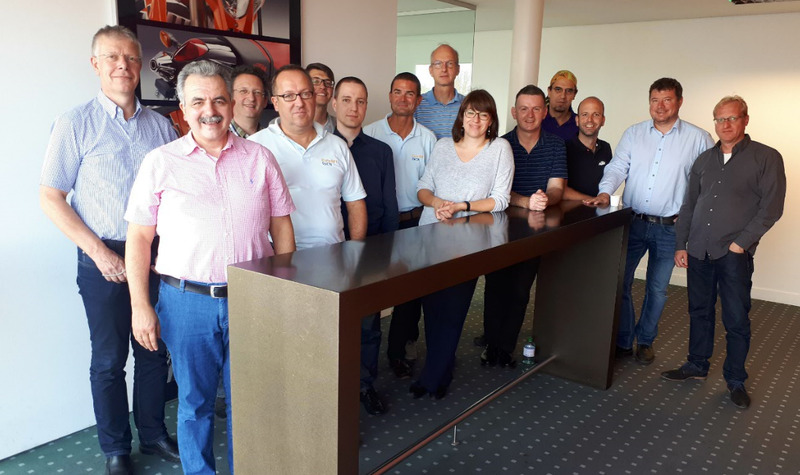 The meeting took place in Mattighofen at KTM AG, with participation of KTM AG, ZF Friedrichshafen AG, Continental Automotive, Elektrobit, HELLA, Robert BOSCH Engineering GmbH, AVL, TDK/EPCOS, BBraun AG, Giesecke&Devrient, Lorit LTD, and ISCN. Key new ideas about self driving concepts were discussed and will lead to publications at EuroSPI in a Wiley Special Issue.